Subscribe to our news feed! In recent years’ flocks of local-nesting or “resident” geese have become year-round inhabitants of the Adirondacks and Upper Saranac Lake. Too often, they are causing significant problems. This explosion in “resident geese” numbers is due to expanding areas of short grass, lack of natural predators, limited hunting, and supplemental feeding. Issue: As local flocks grow, droppings become excessive (a goose produces about a pound of droppings per day). Problems include increased high bacteria counts in the water, nutrient loading, and algae growth, public health concerns for swimming and drinking water supplies, and aggressive behavior by nesting birds. 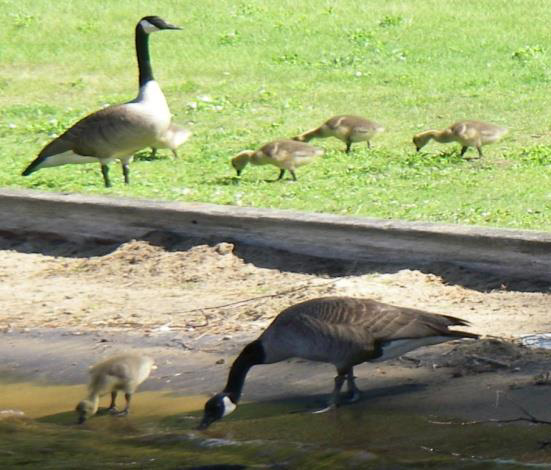 We can reduce the impact from geese on or around Upper Saranac Lake. Although there are many ways to discourage geese from settling in your area, perhaps there is no better way than to manage the habitat to make it less attractive to geese. Making your yard less attractive to geese can reduce “goose use.” An un-mowed 6-foot wide shoreline buffer of native grasses and natural vegetation can discourage geese from visiting your lawn. Geese are especially attracted to lawns that are heavily fertilized, watered, and mowed. Letting the lawn grow longer and not fertilizing or watering it serves a dual purpose. Not only will the area be less attractive to geese but it will naturally curb any runoff that would bring nitrates into Upper Saranac Lake. Swimmer’s itch, affects humans that swim in water infected by wildlife – namely birds. It is caused by a parasite that lives in infected swans, ducks, geese, and sea gulls. 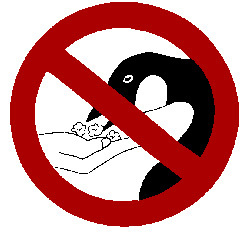 It is thought that waterfowl contract the parasite by being artificially fed (by humans).